I have a strong affinity for rustic chunky looking food. 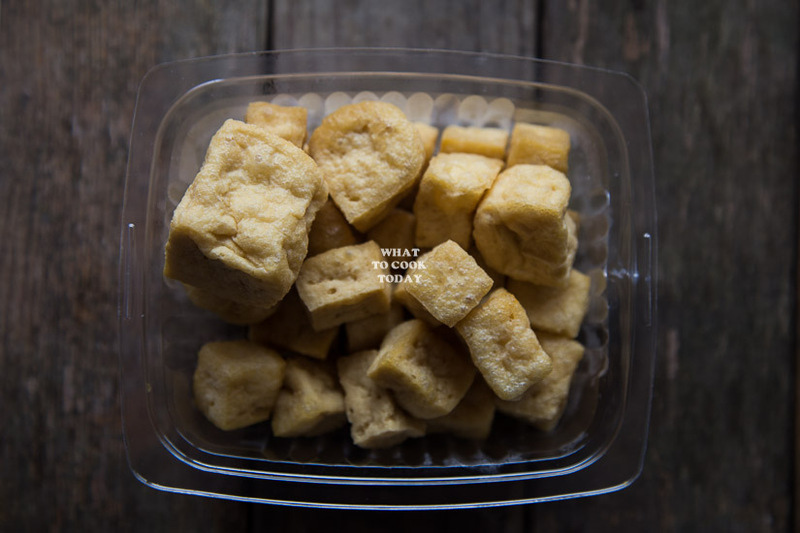 Take this chanko nabe as an example. 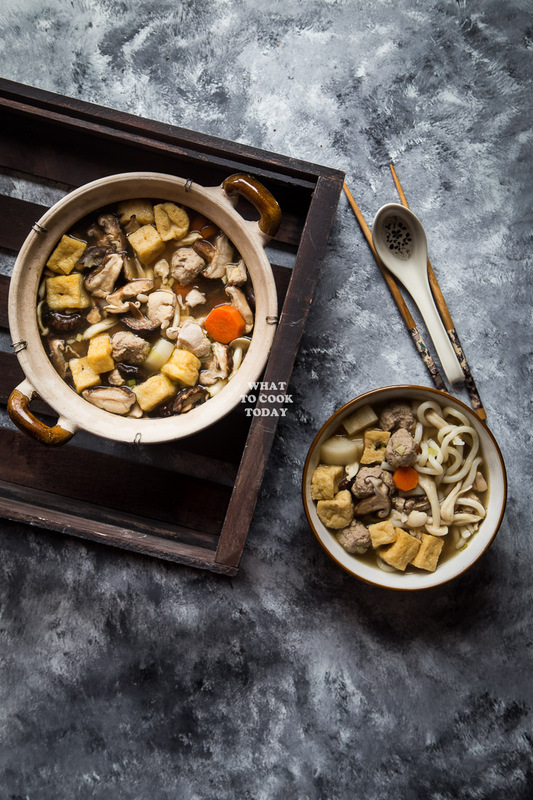 Eating chanko nabe reminds me of the Chinese hot pot where we pretty much have everything from chicken, beef, pork, fish, veggies, tofu…you get it!! Chanko nabe is exactly that. 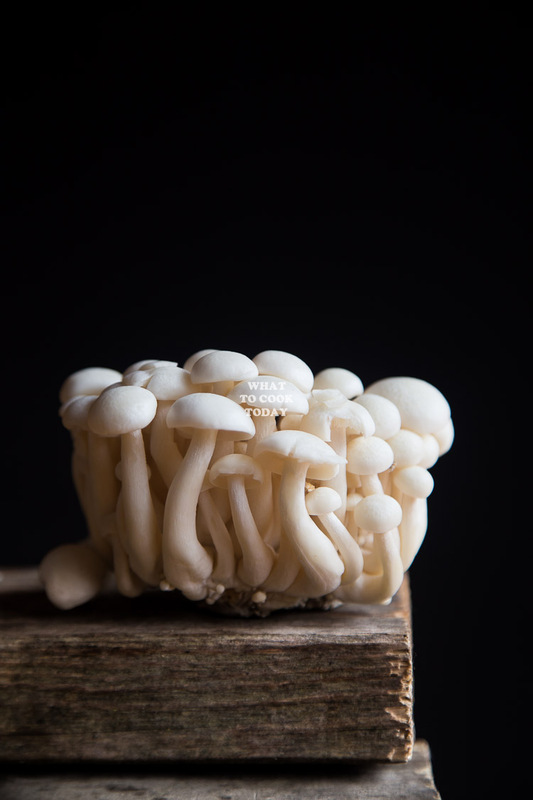 The broth has the Japanese touch by using dashi and soys sauce as a base. 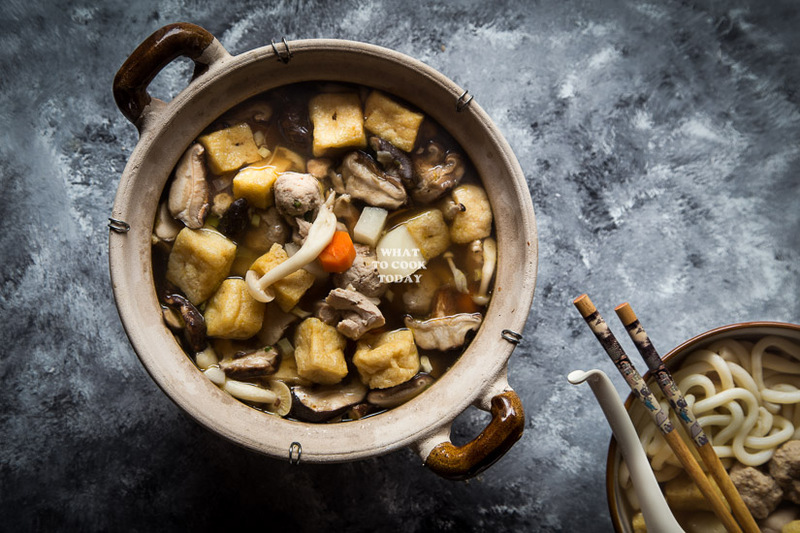 In case you haven’t heard of chanko nabe and wondering why the sumo wrestlers eat this stew, well, from what I heard is that chanko nabe is usually rich in protein (meat, seafood, tofu, etc) and the sumo wrestlers eat this stew in a massive amount to help them gain weight! Now I know what you are thinking!! I DON’T WANT TO FREAKING GAIN WEIGHT!!! Don’t worry my friend! You won’t! (unless you eat that massive amount too). 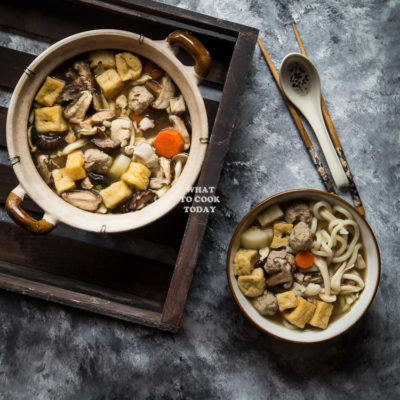 If you look at the stew itself, it’s a complete meal on its own and it can be as healthy as you want it to be or loaded with whatever else you want to put in there. 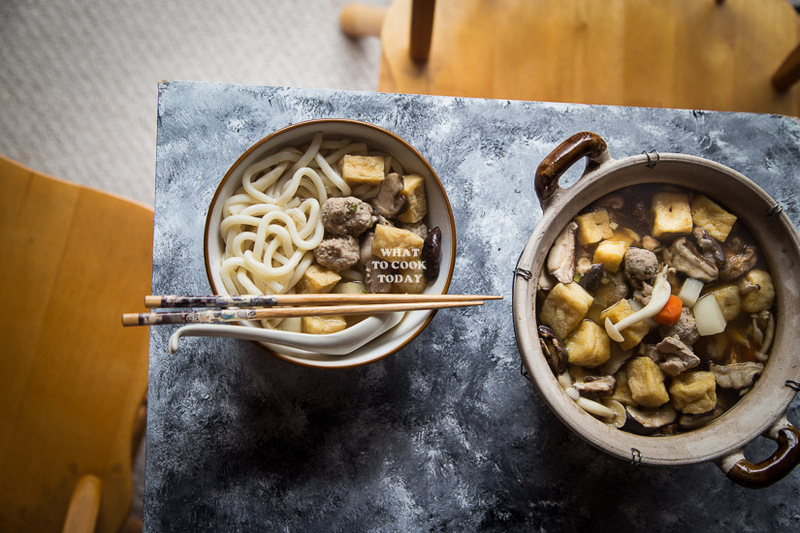 We got a balance of veggies and protein here (and some carbs, the udon). 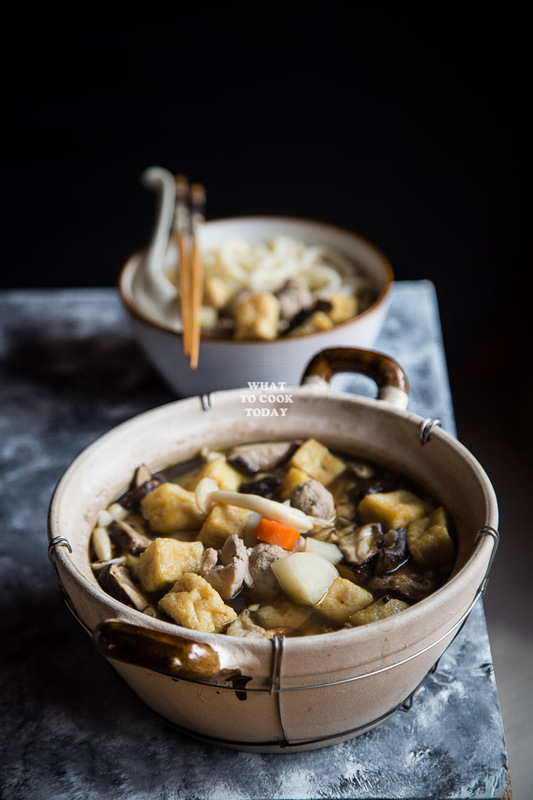 I only used chicken meat in this stew and plenty of fresh veggies like daikon, carrots, napa cabbage, and mushrooms. 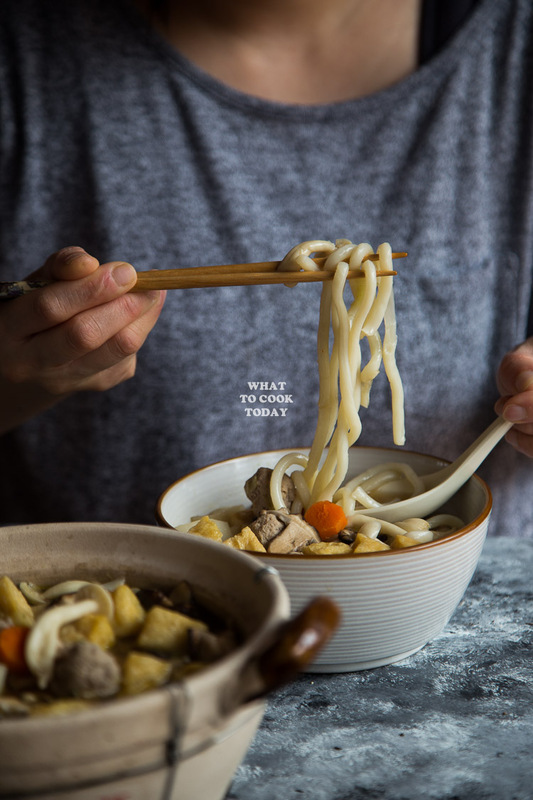 They were pretty much the bits of things I had left in the fridge at the end of the week that I turned into appetizing chanko nabe. So, you can definitely make this into meatless version if you like and it would still be delicious! 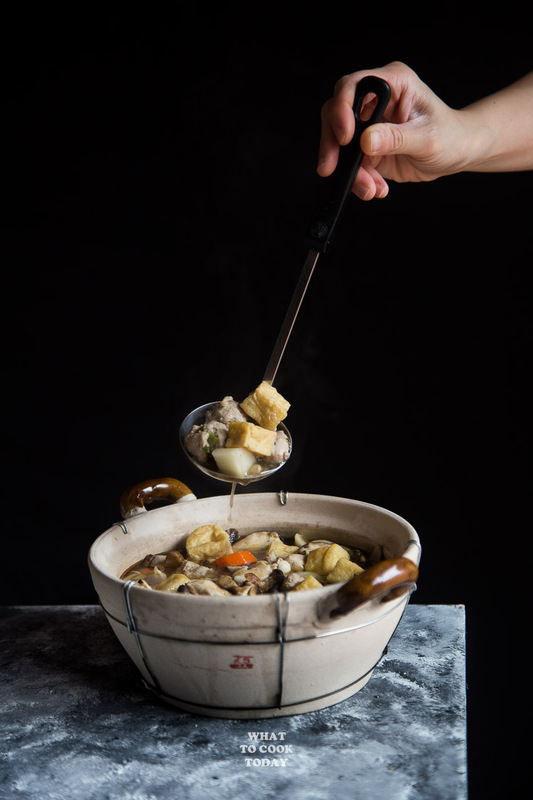 Like the Chinese hot pot, chanko nabe is usually served with the stew still simmering on a portable stove centered on the table where everyone surrounding it can help themselves to the stew. 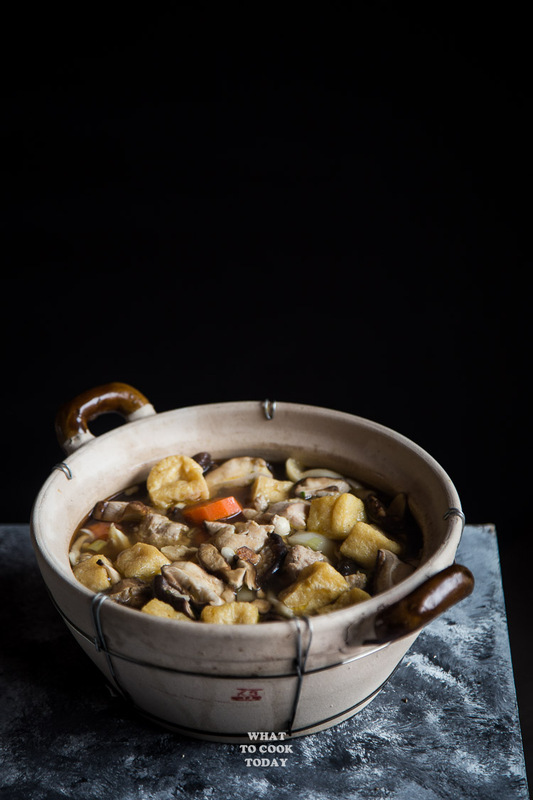 If you ask me, there’s really no “set” recipe for this chanko nabe. You can use whatever your heart desires in this stew. All veggies or lots of meat and/or seafood…it’s your call!